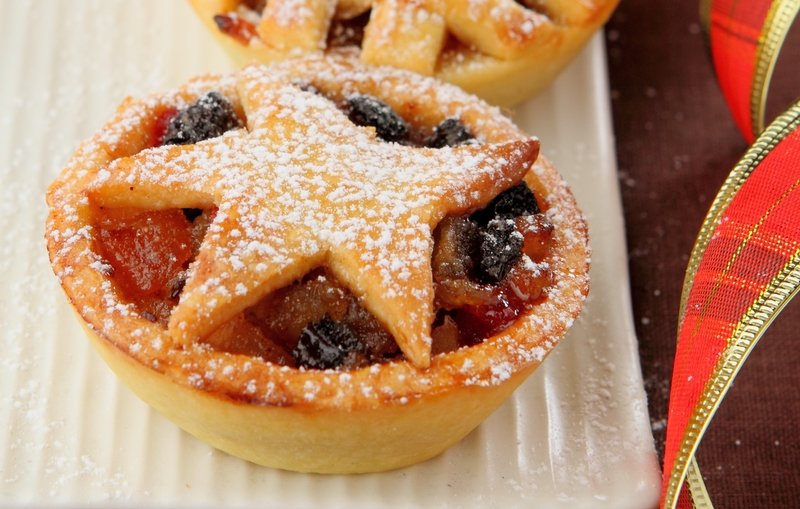 These mincemeat tarts will make for handy little bites. Have them ready at parties for your family and friends to nibble on before or after the main course. This recipe was first published in Flavours magazine. Place filling ingredients in a stainless steel or glass bowl, mix, cling wrap and set aside for 48 hours at room temperature. Place flour, margarine and sugar in a food processor and process till crumbly. Add salt, egg yolk and water and mix until dough leaves the side of the bowl. Refrigerate for 1 hour. Roll out pastry to 3mm thickness. Cut out rounds to line mini tart moulds. Fill the pastry shells with mincemeat. Roll out remaining pastry and cut into rounds, ribbon, or stars to cover the tarts. Brush edge of pastry shells with egg wash before putting on the cover; pinch to seal. Puncture a hole in the middle of the tart top for steam to escape. Brush top with egg wash and bake in preheated oven at 180ºC for 15 to 20 minutes or until golden. Remove from oven and cool in mould for 1 minute before turning out onto wire rack to cool completely. Refrigerate for longer storage. Can be served warm or cold.